How to watch Danger Mouse: Season 2 (2016) on Netflix Canada! 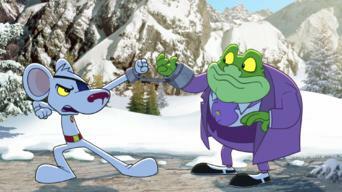 Yes, Danger Mouse: Season 2 is now available on Canadian Netflix. It arrived for online streaming on March 9, 2019. 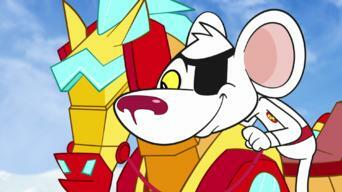 We'll keep checking Netflix Canada for Danger Mouse: Season 2, and this page will be updated with any changes. The world's greatest super-spy returns to save the world with the help of hapless hamster Penfold and a collection of state-of-the-art gadgetry. 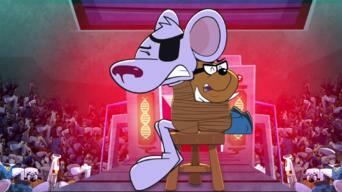 No threat is too small, no evil too great for this secret agent mouse and his sidekick! Villains: You've been warned. 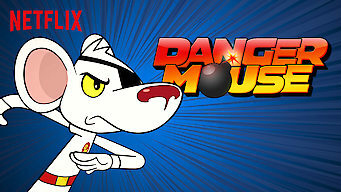 Season 1 of Danger Mouse has 24 episodes. Because different Netflix countries have different availability for episodes, you'll need to check the episode listing below to see which are available in Canada. The hapless rodent returns to London and is instantly sacked for trashing the city. But a reformed Baron realizes the world needs his bungling ways. 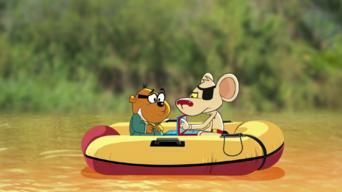 Danger Mouse takes Penfold on a cruise to relax and play video games, but their holiday is interrupted when strange sea monsters attack. When Danger Mouse breaks into Professor Squawkencluck's lab, he unleashes an alien weed that attracts a swarm of killer space bees. Penfold takes a bathroom break while holding Squawkencluck's latest invention, leading to a worldwide toilet uprising led by the evil Dr. Loocifer. 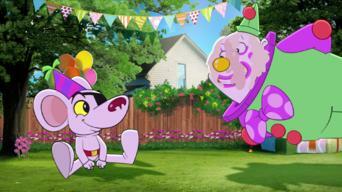 When a spoiled brat visits the lab and turns into a Barbie-like villainess, Danger Mouse must thwart her reign of pink terror by playing princess. Danger Mouse breaks Professor Squawkencluck's invention and it captures HQ. 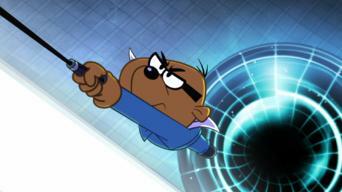 Now, only DM and Penfold's ineptitude can save the day. When Penfold's overzealous cleaning destroys the World Wide Web, Danger Mouse must overcome his arachnophobia before a gigantic spider eats the world. 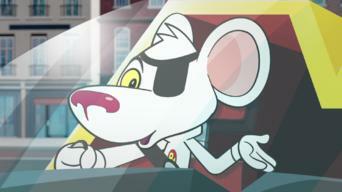 The Baron launches a giant traffic light into space that stops the world from turning, so Danger Mouse and Penfold must get Earth out of the jam. Danger Mouse's oversized ego becomes an intergalactic threat when Earth becomes the most popular tourist attraction in the universe. 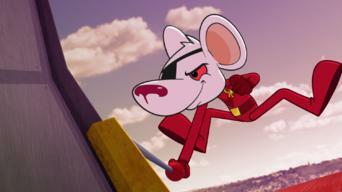 When a cornered Baron escapes by jumbling up the nations of the world, Danger Mouse is forced to work with his no-nonsense American counterpart. When Colonel K's old nemesis returns to spread rude behavior and anarchy, the colonel calls himself back into active duty. As an asteroid veers toward Earth, Penfold gets zapped by a size-changing device and the world's fate relies on a monster-sized hamster. When Danger Mouse and Penfold transport a precious secret formula to headquarters, they discover the Baron has planted a mole in their midst. The world’s biggest Danger Mouse fan wins a contest to hang out with his hero, but his admiration proves to be a threat. 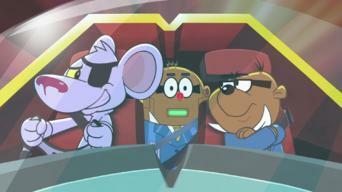 Danger Mouse, Penfold and Jeopardy Mouse are kidnapped by Quark and forced to fight other warriors in a pay-per-view battle on an alien planet. When the normally inept villain Snowman steals Santa’s magic hat, he vows to ruin Christmas. 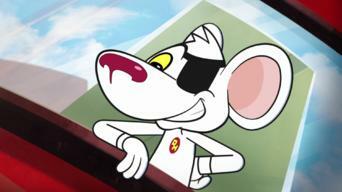 It’s up to Danger Mouse to restore the good cheer. An evil time-traveling chimp is replacing history’s great inventions, and Danger Mouse finds that arriving in the nick of time just isn’t late enough. Squawkencluck creates celery designed to boost the agents’ intelligence. Unfortunately, in the Baron's hands, that turns out to be a very stupid idea. 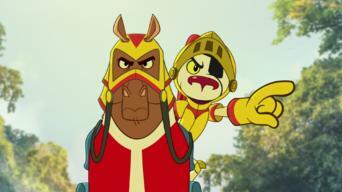 The Baron recruits DM's evil counterpart from another universe to commit crimes and frame Danger Mouse. But a surprising hero comes to the rescue. 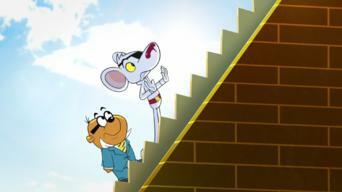 Greenback’s latest plan backfires and wipes his memory clean, so Danger Mouse and Penfold must take him on a trip down memory lane. 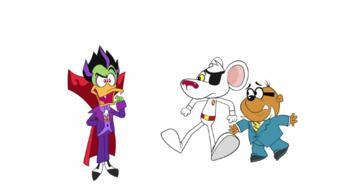 Danger Mouse and Penfold go to Transylvania to stop a fame-loving Count Duckula from turning the world's populace into TV-watching vegetables. 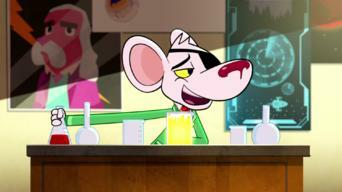 Danger Mouse has a surprise birthday party planned for Professor Squawkencluck. But the Baron has plans to become the world’s biggest party pooper. When Professor Squawkencluck’s mom visits the lab, an enormous trash-eating monster spoils the family reunion. 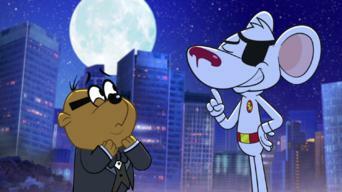 Can Danger Mouse ensure a happy ending? Professor Squawkencluck refits Big Head with the ability to locate and incarcerate criminals, but that leads to the imprisonment of the entire team. Season 2 of Danger Mouse has 26 episodes. Because different Netflix countries have different availability for episodes, you'll need to check the episode listing below to see which are available in Canada. When Penfold needs to defeat a holographic bad guy to avoid being replaced by a robot, DM helps him cheat and the hologram gets angry. Time-traveling Brunel goes back in time and prevents Danger Mouse and Penfold from meeting each other, leaving DM overwhelmed with no partner. When DM and Penfold discover that Danger Sheep has turned into a villain, DM goes undercover in a competition to be the Baron's new sidekick. When an alien clown race lands on Earth, DM can't stop laughing at them, causing the clowns to get offended and declare war on the planet. 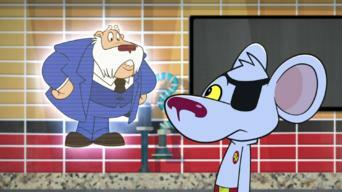 Danger Mouse inadvertently handcuffs himself to Greenback, and they have to work together to foil a villain who wants to turn the world into cheese. After explaining to Penfold that he doesn't believe in magic, Danger Mouse accidentally releases an evil queen into the world from a mystical crystal. DM travels to New York after he loses the agent of the month award to Jeopardy Mouse, but he's skeptical of his American counterpart's methods. 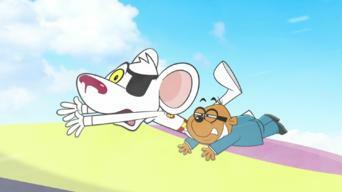 Penfold's addiction to social media leads him to reveal too much about Danger Mouse online, putting a plan to defeat the Baron in peril. The Princess uses her magic powers to eliminate weekdays and make it the weekend forever, and society collapses when no work gets done. 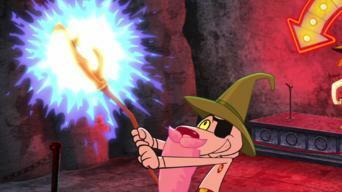 Danger Mouse accidentally gets Squawkencluck fired from her job, and during a failed attempt to get her rehired, the Baron cuts the world in half. 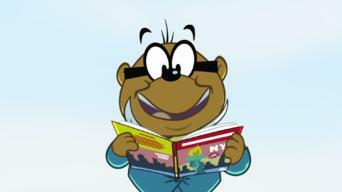 Quark's newest scheme involves creating an army of Danger Mouse and Penfold clones, and the real DM and Penfold battle their alternate selves. An evil version of Penfold has infiltrated Earth, so DM and the good Penfold travel to an opposite world called the Twystyverse to set things right. Greenback speeds up the rotation of Earth using windmills, causing everyone to age rapidly. Now, the suddenly elderly DM has to outsmart the Baron. 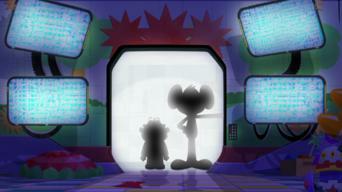 Penfold is invited to participate in a celebrity game show, and he soon becomes a phenomenon. 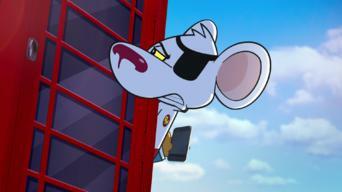 But Danger Mouse is suspicious of what's going on. DM gets angry when important people around the world are replaced by cute kittens, but nobody understands why he'd be against anything so adorable. DM goes undercover as the new member of a boy band, but he's so excited to sing and dance that he doesn't realize the band's manager is up to no good. Quark is embedding furniture advertisements in people's dreams, and Danger Mouse has to go into Penfold's mind to save the city. Disappointed by his daughter's non-villainous ways, the Baron steals DM's confidence and gives it to her, with disastrous results. The Baron attempts to infect everyone in the world with the elephant flu, but Penfold is strangely immune to the disease. The Queen of Weevils convinces DM that he's a medieval knight and needs to rescue her from prison, but Penfold works to turn the tables on her. Duckula kidnaps the monkeys who write the show and forces them to make him the star, placing DM and Penfold in danger of being written out. 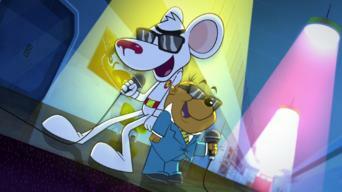 Danger Mouse and Penfold must infiltrate a convention of criminals, where a new shape-shifting agent threatens Penfold's sidekick status. 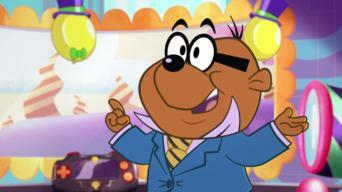 When Greenback hijacks the Sidekickie Awards with an army of robot termites, DM gives Penfold the opportunity to take the lead for the night. An evil food scientist posing as a teacher aims to unleash an army of dangerous hot dogs, so DM and Penfold go undercover as students to stop him. 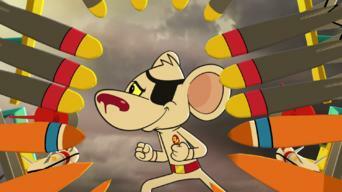 Danger Mouse faces his toughest challenge yet when he battles a villain named Crumhorn, who turns all of Squawkencluck's gadgets against him. 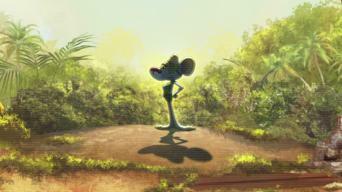 After Crumhorn takes over the world, Penfold travels to a remote jungle to see if he can locate the missing Danger Mouse.